The two most common conversation points when talking about Nashville’s longstanding music history are its established role as the Country Music Capital Capital of the World and the nearly equally cemented outcry that “There’s more than just country music here!” There is a gray area to be found though, and it’s easily one of the most fascinating pieces of this history. It’s a time and place where some the biggest names in popular music came to town to record with a crew of country’s most elite session musicians, it’s where American classics like Blonde on Blonde, Harvest, and Sweetheart of the Rodeo came to fruition, and it’s the subject the newest exhibit at the Country Music Hall of Fame. 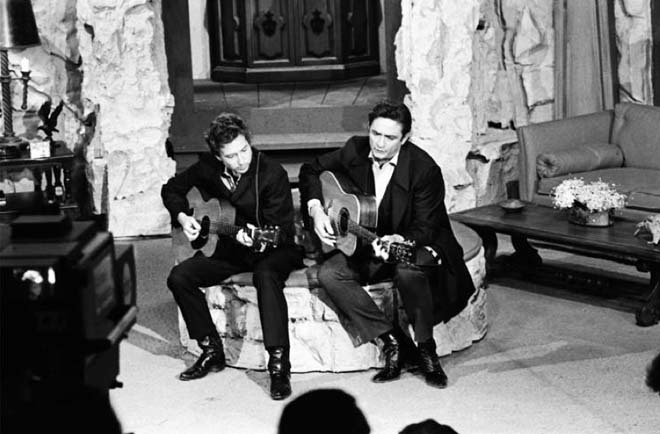 What tasty treats can we hope to find in Dylan, Cash, and the Nashville Cats: A New Music City? The Byrds’ Nudie suits? Kenny Buttrey’s “Lay Lady Lay” bongos? Leonard Cohen’s ticket stub from seeing Brewster McCloud at the Belcourt [a James Cathcart legend]? We’ll have to wait til March 27 to find out. Something tells me we have a cold, long winter ahead of us.